Featuring a coral georgette a-line salwar kameez. Black cotton silk patch embroidery in gold zari on the bodice. Neckline is in boat style. 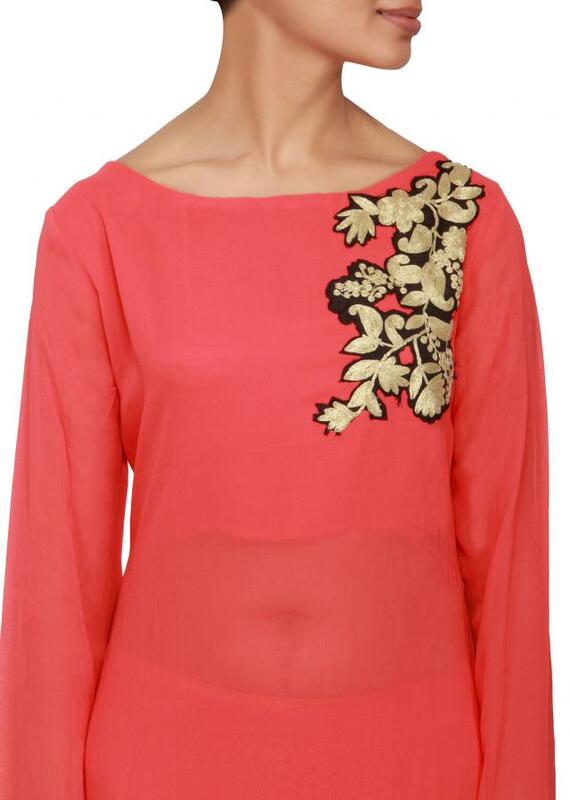 Full sleeves in coral georgette.